Based on our experience, we intentionally sought out manufacturers that represented the very best tube electronics and higher-efficiency speakers. We believe that when designed without compromise, tubes and easy to driver speakers recreate the harmonics, breath, silence and expression of each instrument and voice in a way that most mimics real life, creating an experience for the music lover that transcends the medium. Single Ended Triode amplification, as opposed to Push-Pull designs, have long been considered the most direct path to the music. However, the superiority of any tube is only able to be realised when implemented in a circuit design of least compromise. Aries Cerat is one of the few manufacturers to understand this completely, building tube electronics that are unrivalled at their price point, while surpassing more costly designs. When designed correctly, higher-efficiency speakers allow more of the music’s natural dynamics to be expressed. Aries Cerat have created the only true horn speaker that does not compromise its frequency or phase response in order to produce startling musical realism at life-like levels. While many acoustic solutions exist on the market, SMT acoustic panels are unique in that they combine the acoustic effects of diffusion and time-domain delay without absorption for mid and high-frequency treatment. Low frequency problems needs treatment by SMT's tuneable Helmholtz resonators. These products will amaze you and have found their way into many high-end demo rooms, recording and rehearsal studios, and of course, the discerning audiophile's listening room. Just four panels can make a very noticeable difference. We have these panels available for demo as well. The answer to that question is of course not simple. A chain can only be as good as its weakest link. But if the following question is asked: ‘Would you be able to hear the improvements in electronics as much if the speaker weren’t capable of reproducing it?’ we move closer to a possible answer. Ultimately, a balanced investment needs to be made that respects each client’s expectations, room and budget. For dedicated sites of the product lines we carry, please click the links below. However, we welcome any questions you may have, so please do not hesitate to get in contact with us. Aries Cerat Speakers, SET and hybrid amplifiers, pre-amplifiers, DACs and phono stages. 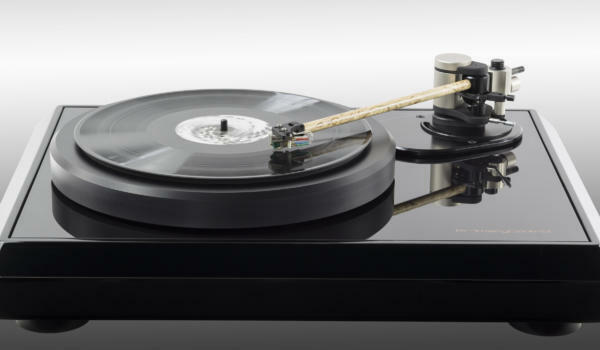 Primary Control European elegance hiding the very best direct drive technology and german engineered tonearms! Signal Projects High-end cables for interconnects, loudspeakers and power.